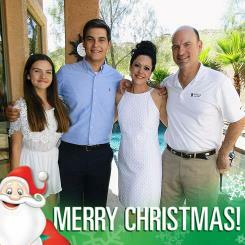 You are here: Home / Family Matters / Happy New Year To My Blog Readers! Happy New Year To My Blog Readers! 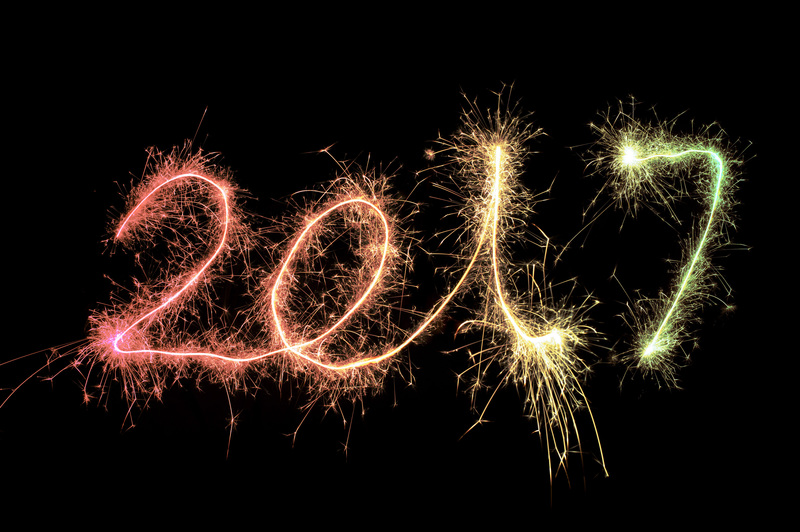 It is almost that time…Happy New Year! I can’t tell you how much I truly appreciate your support and the time you take to follow my humble little blog! I like to think of this space as a resource, a place to share manic managed mom tidbits, a place for flavor with recipes and a place to smile. I am wishing all of you a happy and healthy 2017. Be still a proud Mama’s heart! 2016 was exciting for us! 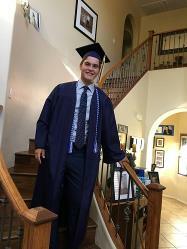 Our first-born graduated with honors and flew the coop! 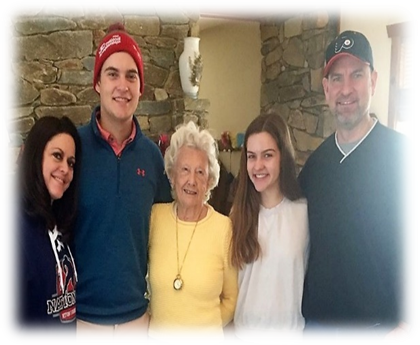 We traveled to Washington DC/Virginia when Jack’s high school hockey team went to Nationals! We were blessed to get to visit all of my Maryland/Va relatives, including my beautiful 91-year-old Grandma who resides in West Va! 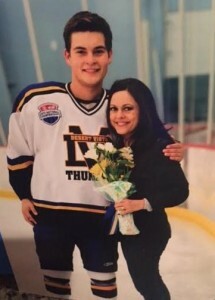 I loved senior night when moms were honored and given flowers on the ice by our player! 14 years of hockey, with so many amazing memories, flew by! Jack and his cutie pie girlfriend of 2 1/2 years, lovely Hannah banana, as I like to call her. 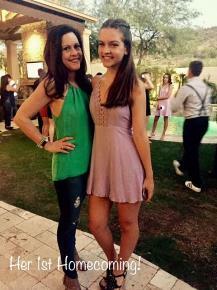 It is so nice when your kid dates such a nice young lady! 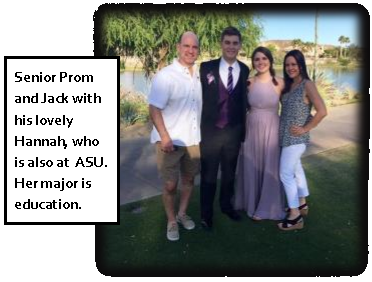 Jack loves ASU Barrett Honors College and his major, sports journalism. Jack also does a great job doing play by play announcing for ASU hockey. He finished up the semester on the Dean’s List with a 4.02 GPA. He was also hired to be the sports journalist intern for the Junior Coyotes, a youth hockey program. He manages social media and weekly sports reports on behalf of their multiple teams. Jack is off to a great start and we are so thrilled for him. He loves college life and has made very nice friends from all over the country. 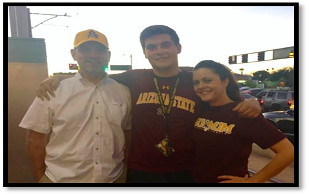 Jack helped us out by earning a 4-year academic scholarship for part of the tuition, too! 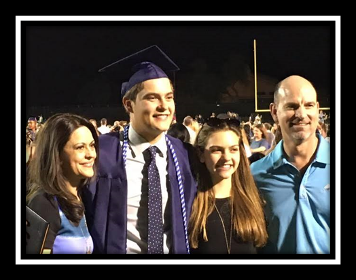 A big Congrats to our Jack! 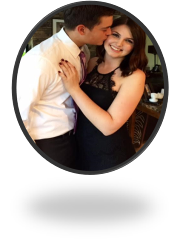 Check out Jack’s grad life memory video here on my blog if you haven’t checked it out yet. It was my labor of love to put it together! And to see a short 1 minute video of Jack’s dorm move-in day from my Mama perspective, look here! Our young lady is now 15 and is anxious to get her driver’s permit! Here we go again! Alexis has been busy with some wonderful achievements. She was recognized as a Principal’s Award finalist, a tremendous honor, as the recipients are selected by their teachers based on their academic & leadership performance all three years of middle school! In August, she started high school. 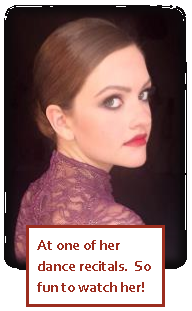 She works hard in her honors classes, on the school’s Advanced Gold dance line and in drama club. 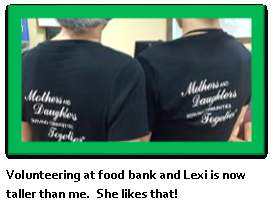 This year, Alexis and I were lucky enough to have been able to join NCL (National Charity League), a mother and daughter organization, that volunteers time to help those in need packing food boxes, volunteering in after school programs, working in an animal shelter and more. We really enjoy it! 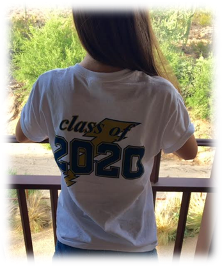 Already in high school so I have two freshmen this year, one in college and one in high school. Time flies like a magic trick! 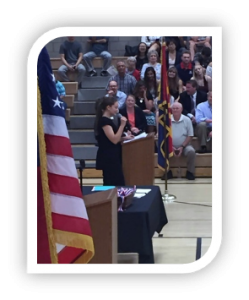 A speaker at her middle school promotion ceremony last May. Also named Most Spirited in her yearbook…fun! Proud of her! 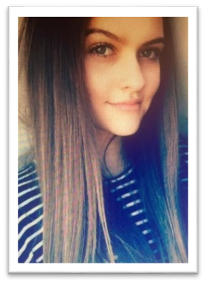 Lexi was just cast as the Queen of Hearts in Alice in Wonderland at Valley Youth Theatre (VYT), a very reputable and professional children’s theatre (alumni include Oscar nominated actress Emma Stone). VYT has been one of Lexi’s goals since grade school. She told us that she felt ready to audition and was thrilled to be cast after 3 days of auditions/callbacks. It will be an intense and professional experience with over 20 shows happening in February and possibly extended to March. Tickets are already on sale and opening night (Feb. 10) is almost sold out. So excited for her! VYT is in downtown PHX right next door to Jack’s dorm! So cool! 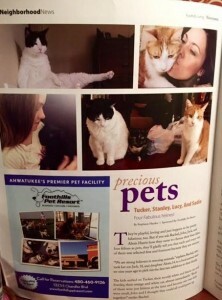 And we can’t forget our furry family members, who were featured in a magazine article a year ago! 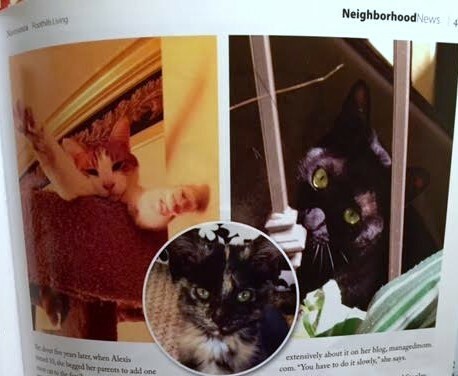 To see the magazine spread about our fab four felines, click here. From us to all of you, we hope you had a Merry Christmas and we are wishing you a splendid New Year!